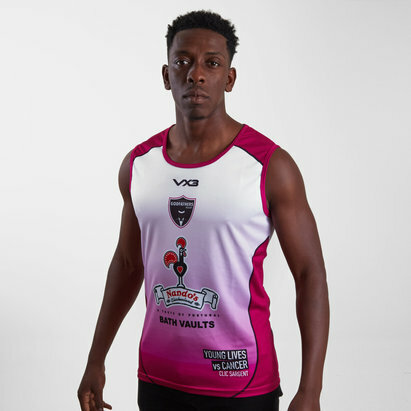 A vest that is sure to make you stand out in a crowd, pull on this World Beach Rugby Seagull Miners 2018/19 Home Rugby Singlet in Pink. 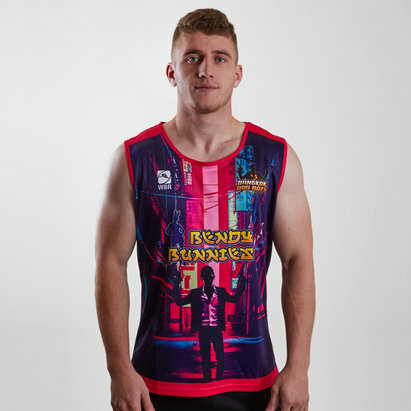 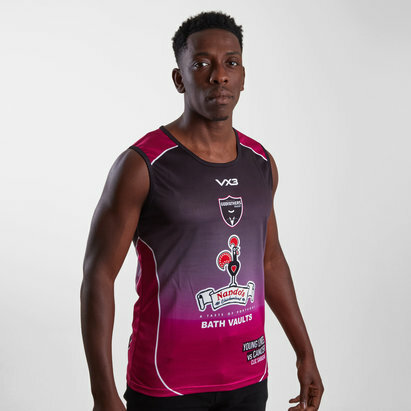 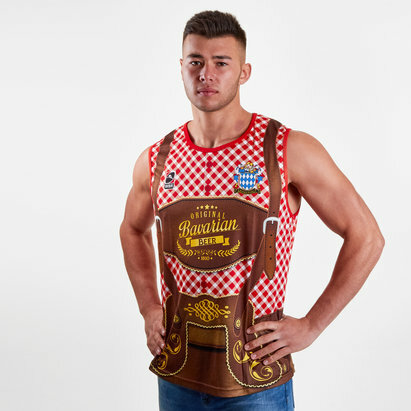 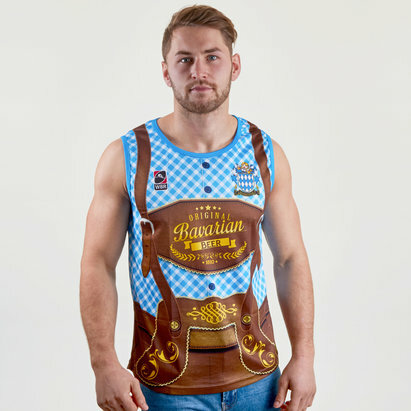 This singlet from World Beach Rugby comes made from 100% polyester with all the logos and sponsors sublimated into the vest to avoid irritation whilst wearing. 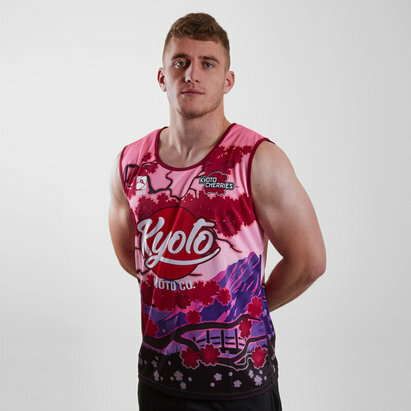 This singlet is predominantly blue with pink and yellow detailing. 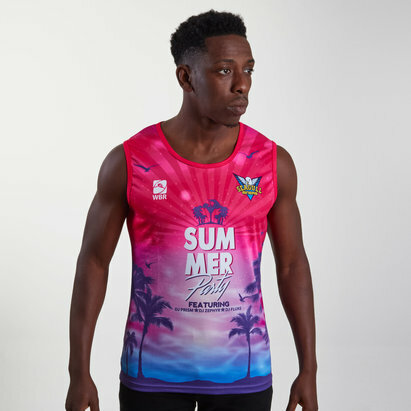 The design on the vest is of palm trees and a beach scene with some seagulls, inspiration taken from the name of the team. 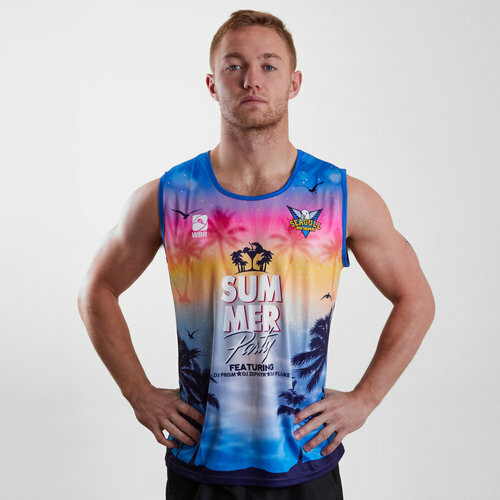 With a round neckline for additional comfort, this classic vest will make sure you don't go unnoticed in this World Beach Rugby Seagull Miners 2018/19 Home Rugby Singlet.